IHL was developed originally with the product manager in mind. The rigor, the detail solutions, the forecasts in WorldView and installs in our Sophia product provide the backbone of our research and market sizing. But those product managers and marketing managers we began working with are now the leaders with much broader views and needs. The IHL Retail Executive Advisory Program (REAP) provides that broad market view that execs need, but with the detail underneath that the managers need to execute strategies. 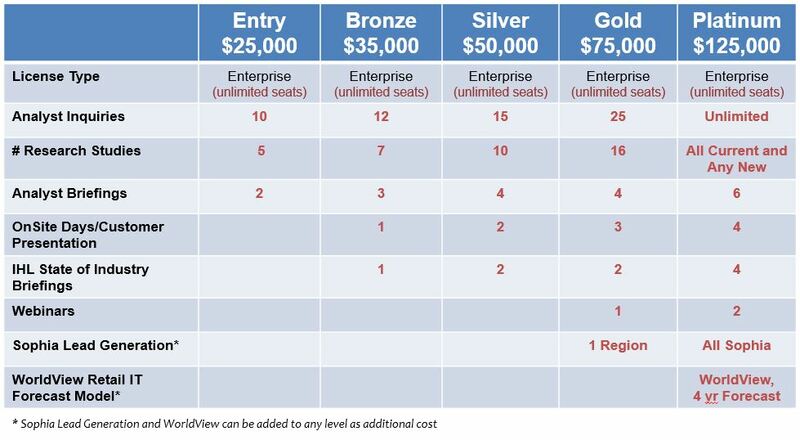 And it’s an Enterprise license rather than individual seats so there are no seat games to play. The right data, at the right level, at the right time. 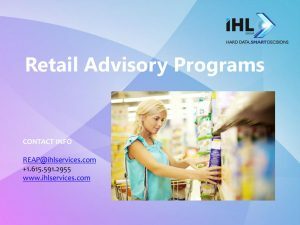 IHL’s Retail Executive Advisory Program (REAP) is a combination of executive level research studies, advisory inquiries, briefings, webinars, IT forecasts and Onsite days packaged so that senior executives from retailers and vendors can have access to and receive the latest data from IHL’s stable of analysts. It’s an ongoing dialogue that benefits your company. Unlike other analyst firms, IHL’s REAP program is not limited to seats, but instead provides an enterprise subscription to the research as well and access to our analysts. So analyst briefings can include your entire management team, not just the one person who owns the seat license. As well, IHL’s State of the Industry briefing calls are not limited to one person, but the number of people on the call is dictated by your preference, not some artificial seat license. 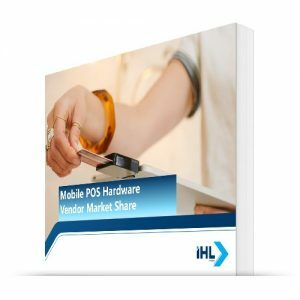 A series of research studies that market size, key components, key players, trends, market drivers, barriers and forecast for market growth. Each subscription has a number of advisory inquiries of IHL analysts. These are not limited to a single person. At your option, these queries can be opened up to your management team. The limit is based on the subscription level and range from 10 per year to unlimited Inquiries depending on the subscription. Analyst briefings are the opportunity for your company to share with IHL analysts your product offerings and messaging so that we are completely up-to-date on your solutions and capabilities when we talk to prospective clients. Each subscription has a number of these briefings a year depending on the level. As part of some subscription levels, included are OnSite Advisory Days where IHL analysts come onsite for a full day briefing and strategy session. As a different option, IHL analysts are also available to present at your customer conferences or at big events like NRF or Shop.Org for your sponsored sessions. Depending on the advisory subscription level you choose these may be included. As well, they can be added as additional days to any subscription level as adhoc additions. These 30-45 minute briefings are the latest IHL insights from our research, trends arising from customer presentations, and things we have learned at the various conferences throughout the year. These briefings are not limited only to a single person, but can be set up for your entire management team. Beginning at the Bronze level at least 1 briefing is included. At the Platinum level these can be done quarterly for your company. Complete details on the subscription level can be found on the Preview Tab. Beginning at the Gold Level advisory subscription, IHL analysts are available to participate in your customer webinars. IHL Analyst will present 10-15 minute trends updates that provide a lead in for your webinar topic. Depending on the subscription level, IHL’s Sophia Data Service is included at no additional cost for enterprise use. Sophia remains available as a subscription by itself or add-on option to the Advisory relationships, but starting at the Gold Level Advisory it is automatically included. 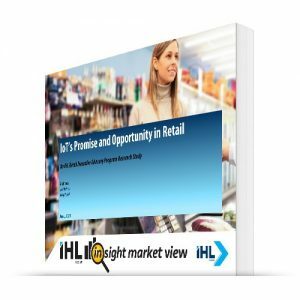 Like Sophia, IHL’s WorldView IT Forecasting Model for Retail is available as a subscription by itself and can be customized for your specific segments. It is also available as an add-on to any advisory level. However, at the Platinum Advisory Level the complete forecasting model with over 300 technologies is included so you can see forecasts by technology and segment by region of the world. See the areas growing the fastest, not just what you currently use. 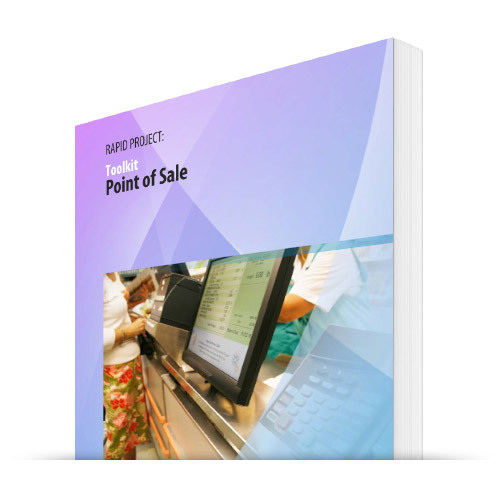 This is ideal for any merger and acquisition activities. 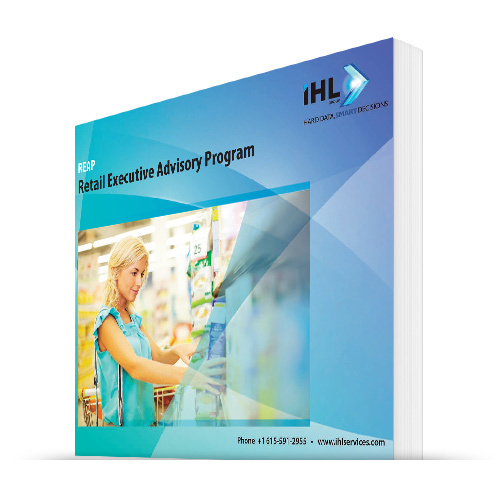 What are the different levels of the Retail Executive Advisory Program? The following chart shows what is included in the different levels by default. On the Preview Tab we have the complete list of options. For details on each study, see the Price List. What constitutes an Analyst/Advisory Query? This is an inquiry by email or phone of an analyst for questions or comments. We like to do these via brief phone conversations ideally so that the answer can be complete and thorough. Can I substitute some of the other IHL research for the Executive Advisory Research Studies? Yes, you can choose from more than 25 different IHL Research Products as a substitute. On the Preview TAB you will see a deck that lists all of the options for substitution. Or you can contact us at the link above and we can give you the details. The Webinars listed, are these produced by IHL or are these for participation by analysts? In the subscriptions, these are simply opportunities for analysts to join the webinars that you are producing or are working with another publisher to produce. IHL does offer our own produced webinars, but these are not included by themselves in any of the advisory subscriptions. Yes, if your research is part of the Advisory relationship, the licenses on the research products can be used by anyone internally at your company. Can I share the data externally? With written permission from IHL we allow certain components to be shared externally. However, as a standard rule IHL research studies and content cannot be shared externally with clients and partners. That being said, we are open to individual queries. Once again, we just ask those be made in writing to ihl(at)ihlservices.com. Pricing for the Retail Executive Advisory Program is done on a subscription basis. The following a base-levels of the Retail Executive Advisory Program. But you can add additional IHL studies or components to any of the levels. To do so, please contact us at ihl@ihlservices.com and we can customize a program specifically for your company. The core offerings are the following: (Click photo to enlarge). Each of the research studies comes with an Enterprise license so the data, studies can be shared internally among your entire team. For more questions and to begin, contact us.